The most forward-facing feature added is the new tabbed user interface. 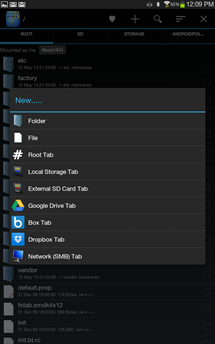 By default you're presented with a Root and a Storage tab, which can be navigated independently. You can add tabs for any folder, the SD card, internal storage, or an external network by pressing the "+" icon in the new action bar. Dismiss a tab in the same way with the "x" button. Bookmarks to often-used locations are managed with the heart icon. Add a new tab, and you'll see how much new functionality is available to you. Root Explorer now works with Dropbox, Google Drive, Box.net, or any standard SMB server, allowing a pretty great selection of services to pull or push files. 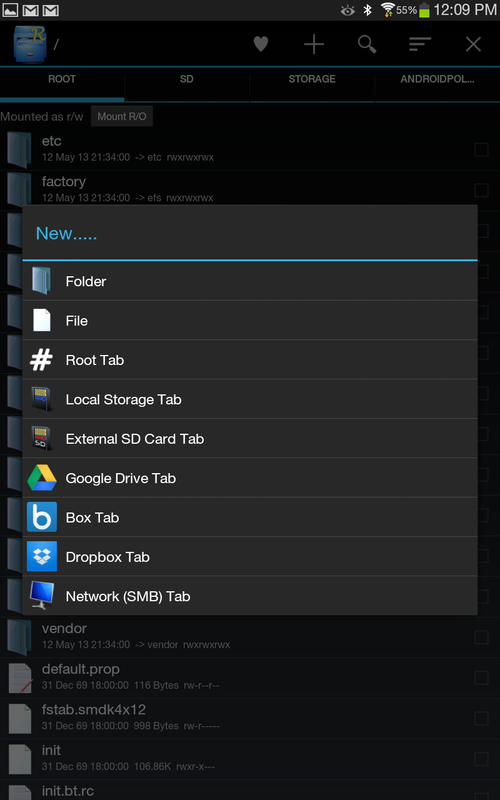 Dedicated Root Explorer users may not even need the Dropbox or Drive apps anymore, unless they rely on device-side syncing. But wait, that's not all! According to the changelog, processes (copy/paste, extraction, deletion, et cetera) now happen in the background, concurrently, and with notifications. (You'll need to manually set operations to run in the background if you'd like to do something else in the same tab.) This is only necessary if you're handling big files, but when you do, it's a godsend. The Preferences menu now now includes a fully-customizable display settings for each listed file or folder. And of course, the app works with root and permission adjustments. 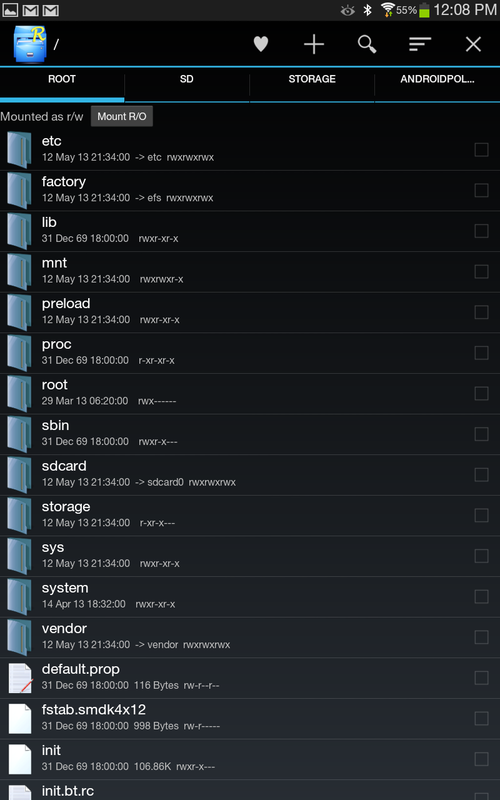 There's just one thing missing from Root Explorer now: a proper tablet interface. Tabs are great, but the app still shows only one tab at a time, even on 10-inch tablets. 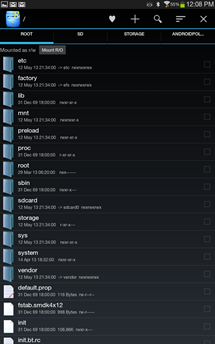 But this is a minor nitpick - Root Explorer is better than it's ever been before. It's $3.99 for the tool, and worth every penny. 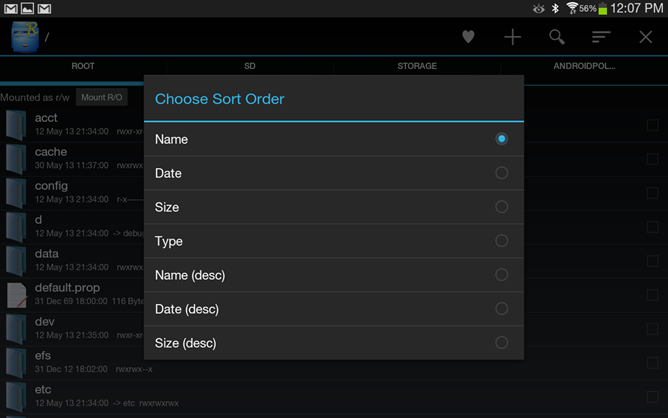 • For details of new permissions requested see the full app description.